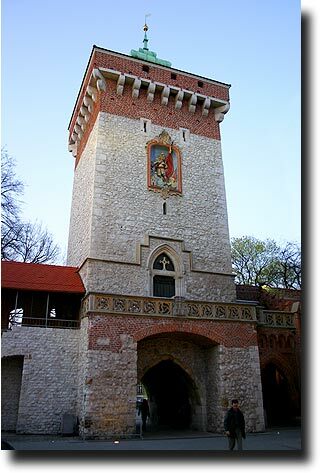 Crossing into the old town from Kazimierz at the north walls, I came to the reconstructed old watch tower. 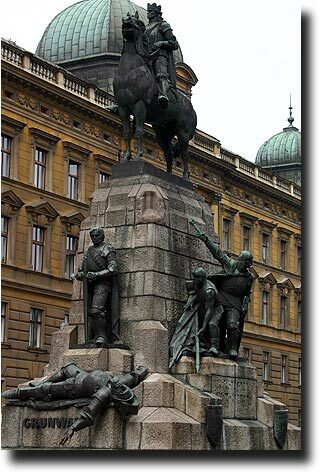 It gives an idea of how important protecting the city was for most of its history. 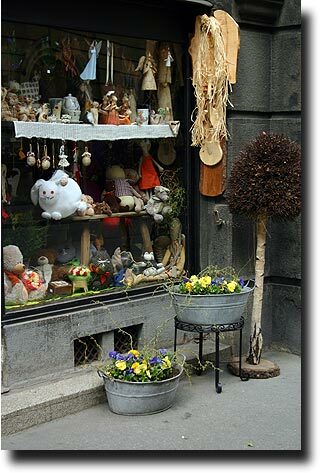 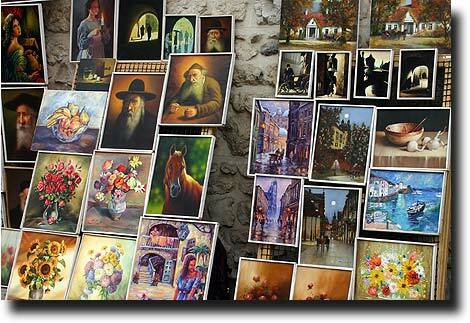 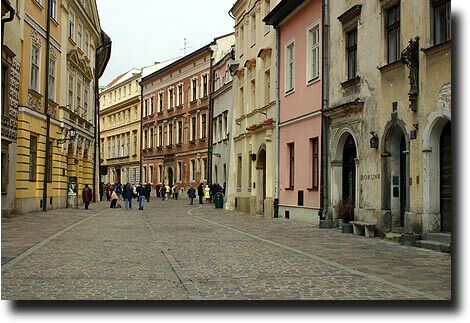 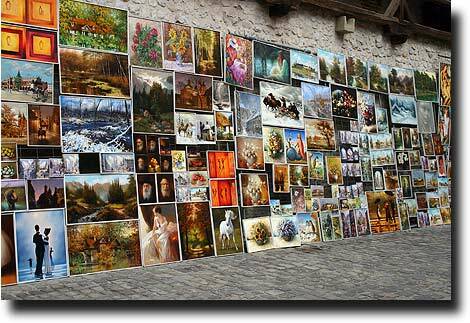 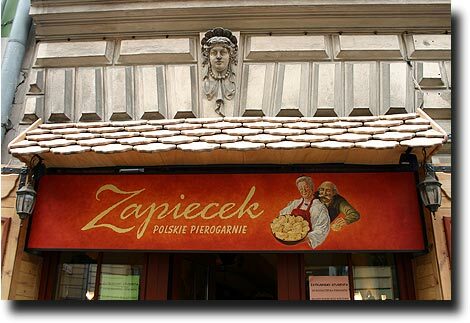 Along the base of the wall are stalls selling reproductions of famous works and scenes from historical life in Krakow. 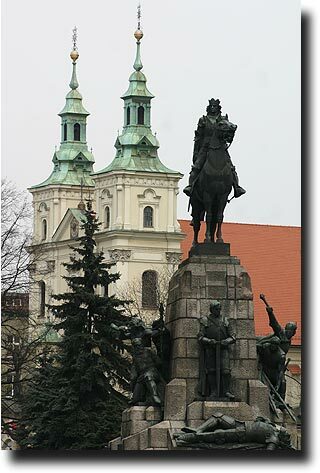 Outside the walls, a series of statues play homage to historucal figures and epochs in Polish history. 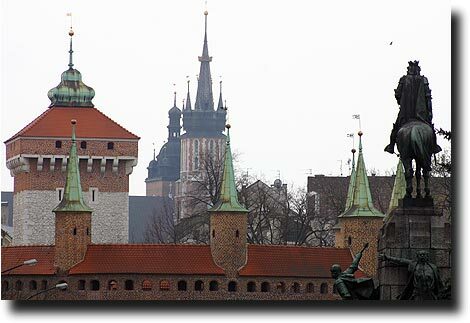 Looking back toward the city, the spires from the main town square rise above the walls.